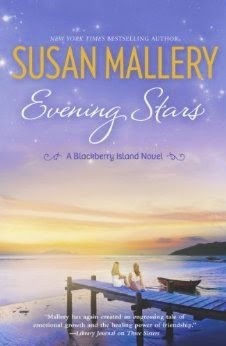 New York Times bestselling author Susan Mallery returns to Blackberry Island with the poignant tale of two sisters on the verge of claiming their dreams. Small-town nurse Nina Wentworth has made a career out of being a caretaker. More "Mom" than their mother ever was, she sacrificed medical school—and her first love—so her sister could break free. Which is why she isn't exactly thrilled to see Averil back on Blackberry Island, especially when Nina's life has suddenly become…complicated. Nina unexpectedly finds herself juggling two men—her high school sweetheart and a younger maverick pilot who also wants to claim her heart. But as fun as all this romance is, Nina has real life to deal with. Averil doesn't seem to want the great guy she's married to, and doesn't seem to be making headway writing her first book; their mom is living life just as recklessly as she always has; and Nina's starting to realize that the control she once had is slipping out of her fingers. Her hopes of getting off the island seem to be stretching further away…until her mother makes a discovery that could change everything forever. But before Nina and Averil can reach for the stars, they have to decide what they want. Will Averil stay? Will Nina leave? And what about the men who claim to love them? Does love heal, or will finding their happy ending mean giving up all they've ever wanted? Upon receiving this book I was a little worried about if I would understand what was going on in the story and if I would be able to understand the characters’ personalities; mainly because this book is part of a series called “Blackberry Island.” I looked on Goodreads.com and read the summaries of the first two books in this series that way I could at least get a little bit of an idea what the books and this series was about. After I started reading this book I became engrossed in “Nina,” mainly because I felt like I could really relate to her. I could identify with her situation and her feelings throughout the entire book; when she was upset so was I. The only thing I could identify with “Nina” are the 2 men who want to be with her. I myself am a happily married woman and “Nina” is single and has to decide what and who she wants to be with. I found chapter 2 to be a little slow and there were a few other chapters that made the story a little boring sometimes, but once I read through those few then the story picked up again. I was just as excited for “Nina” as I would have been if it was me getting into Tufts University instead. I cried when she told her mother she was leaving and when she told “Kyle” that she wouldn’t marry him; I felt like I was the one breaking his heart instead of her. When I got to the last few pages and realized that “Dylan” unexpectedly moved into her apartment I was giddy with excitement!